An investigational oral antibiotic called zoliflodacin was well-tolerated and successfully cured most cases of uncomplicated gonorrhea when tested in a Phase 2 multicenter clinical trial, according to findings published today in the New England Journal of Medicine. The National Institute of Allergy and Infectious Diseases (NIAID), part of the U.S. National Institutes of Health, sponsored the clinical study. Gonorrhea is caused by the bacterium Nesseria gonorrhoeae, which has progressively developed resistance to each of the antimicrobials used to treat it. As a result, in 2015, the U.S. Centers for Disease Control and Prevention revised gonorrhea treatment guidelines to recommend dual therapy with injectable ceftriaxone and oral azithromycin to reduce the emergence of resistance to ceftriaxone. Zoliflodacin (formerly known as ETX0914 and AZD0914), developed by Entasis Therapeutics based in Waltham, Mass., represents a new type of oral antibiotic that inhibits DNA synthesis in a different way than currently approved antibiotics. 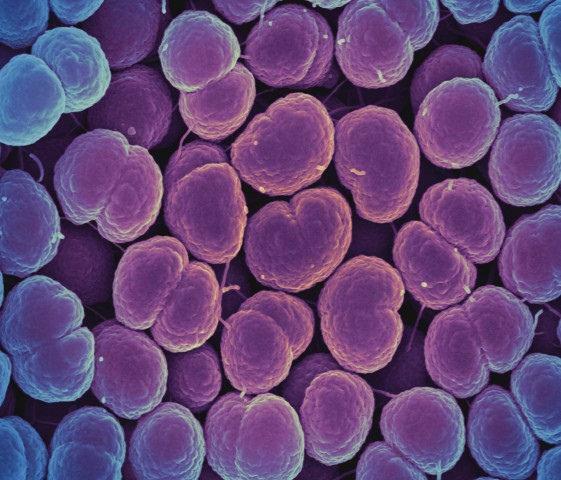 "The rate of reported gonorrhea cases in the United States has increased 75 percent since the historic low in 2009, and antibiotic resistance has considerably reduced the number of treatment options for this disease," said NIAID Director Anthony S. Fauci, M.D. "These encouraging research findings published today suggest that zoliflodacin has the potential to be a useful and easy-to-administer oral antibiotic for treating gonorrhea." The study took place from November 2014 through December 2015 and was led by Stephanie N. Taylor, M.D., of Louisiana State University Health Sciences Center in New Orleans. Study investigators recruited patients from sexual health clinics there and in Seattle; Indianapolis, Indiana; Birmingham, Alabama; and Durham, N.C. The trial enrolled 179 participants (167 men and12 non-pregnant women) ages 18 to 55 years with either symptoms of uncomplicated urogenital gonorrhea, untreated urogenital gonorrhea or sexual contact with someone with gonorrhea within 14 days before enrollment. Participants were randomly selected to receive either a single 2 or 3-gram dose of oral zoliflodacin or a 500-milligram (mg) dose of injectable ceftriaxone. Among the 117 per-protocol participants who were evaluated six days after treatment, 98 percent (48 of 49 participants) of those who received the 2-gram zoliflodacin dose, 100 percent (47 of 47 participants) of those who received the 3-gram dose, and all (21 of 21) of the participants in the ceftriaxone group were considered cured of their urogenital gonorrhea based on culture results. Zoliflodacin cured all rectal gonorrheal infections (4 of 4 participants who received the 2-gram dose and 6 of 6 participants who received the 3-gram dose) as did ceftriaxone (3 of 3 participants). However, the investigational drug did not fare as well in treating patients with gonorrhea infections of the throat (pharyngeal): 67 percent of volunteers who received the 2- gram dose (4 of 6 participants) and 78 percent of those who received the 3-gram dose (7 of 9 participants) were cured. All of the participants (4 of 4) in the ceftriaxone group achieved a cure. The investigational antibiotic was well tolerated with transient gastrointestinal upset the most commonly reported adverse effect. Microbiological evaluation of post-treatment clinical isolates did not demonstrate resistance to zoliflodacin. In March 2018, NIAID completed a study to evaluate zoliflodacin's pharmacokinetics, safety and tolerability as a single oral dose to serve as a bridge from the Phase 2 clinical trial formulation to the final formulation for Phase 3 testing. Results from that study have not yet been made public. Additionally, in September 2018 NIAID launched a Phase 1 study to evaluate the investigational drug's cardiac effects, a standard safety test for new drugs such as this. Zoliflodacin has been awarded fast track status by the U.S. Food and Drug Administration for development as oral treatment for gonococcal infections. It is expected to begin Phase 3 testing in the Netherlands, South Africa, Thailand and the United States next year. Reference: SN Taylor et al. Single-Dose Zoliflodacin (ETX0914) for Treatment of Urogenital Gonorrhea. New England Journal of Medicine DOI 10.1056/NEJMoa1706988 (2018).